Filmed from the app, TikTok videos are vertical or 9:16. But Instagram doesn’t allow you to share full 9:16 videos; the max size for an Instagram Post is 4:5. To post TikTok videos on Instagram without cropping, you need to resize the video first and add padding on the left and right. Posting TikTok videos is a fun way to show off a music video you filmed or production you created. People put a lot of work into TikTok videos, so why not publish them on your Instagram or Finstagram for the world to see? This same technique applies for any narrow, 9:16 video you film or have saved on your phone. 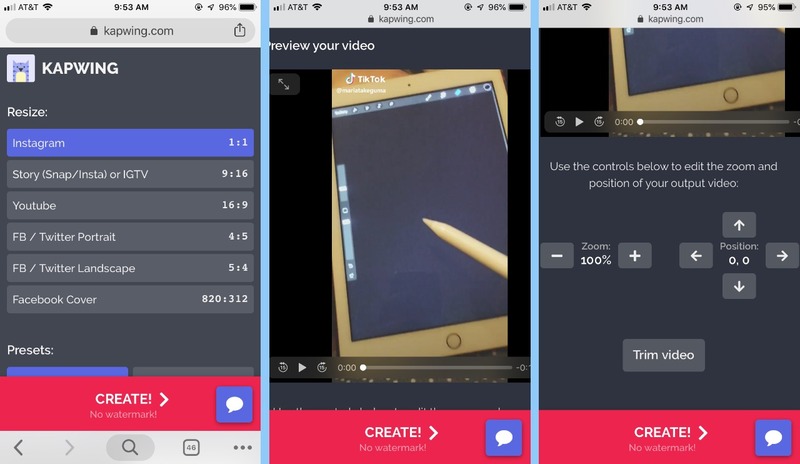 In this article, I’ll describe how to resize your videos so that you can post TikTok videos on Instagram. This tutorial uses a free, online video editing website called Kapwing. Kapwing works on both your phone and computer, and you won’t need to download any software to use it. 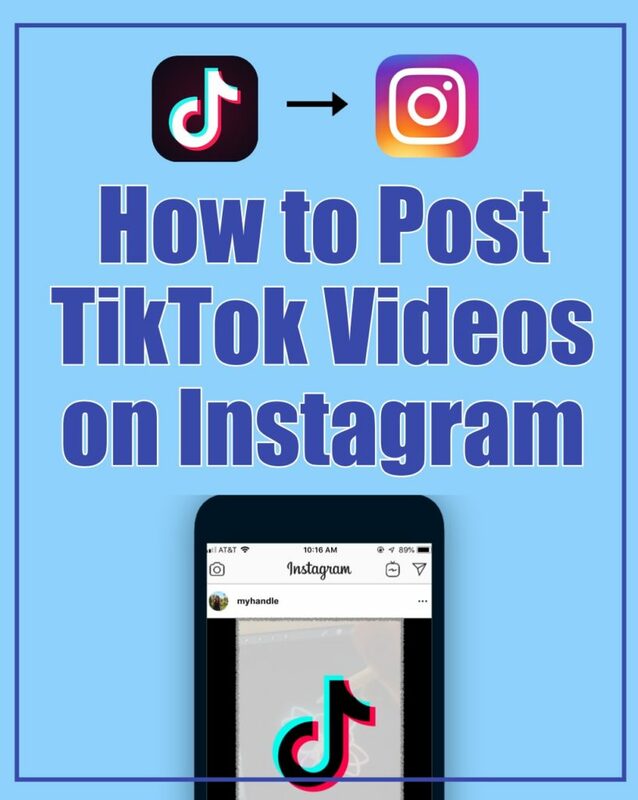 To get started, save the TikTok video that you want to post on Instagram to your camera roll. You can save TikTok videos by long pressing and tapping the “Save” button in the action menu. 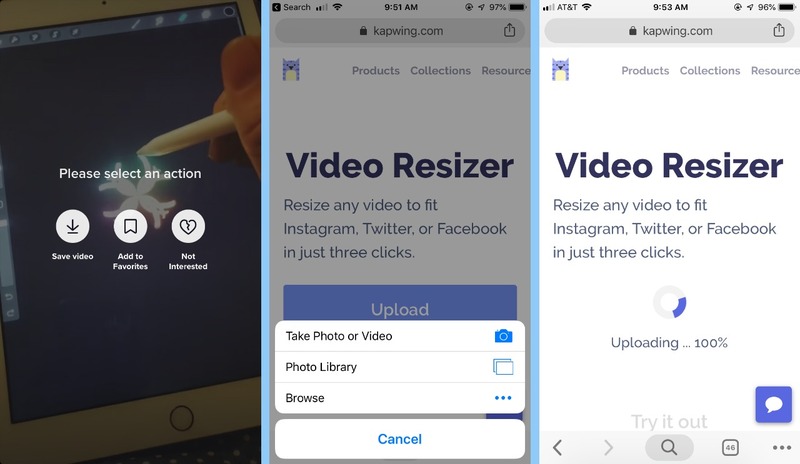 Once you have the video saved to your phone, tablet, or computer, open Kapwing’s Resize Video tool. This tool helps you automatically crop and size your videos for various social media platforms. Click the upload button to find your TikTok video file and upload it. Once your video loads in the Kapwing Resizer, you can choose what the output video will look. Start by selecting the aspect ratio that you want to achieve. For Instagram, 1:1 or 4:5 are both allowed, and 4:5 gives you a bit more vertical space in the Feed. Watch the video preview to see what your video will look like. Since TikTok videos are 15 seconds long, you don’t need to trim them to post to Instagram, but you can cut down to a specific section if you want to using the “Trim Video” button. Kapwing also has options to zoom in on and re-position your video. The arrow keys below the video preview allow you to add a border or offset or to crop and re-center the video..
After the video preview looks right, tap “Create” to resize it for Instagram. The website will take several seconds to process your video in the cloud, so you won’t have to worry about your computer crashing or freezing. After your video has been processed, you can download the MP4 and publish it directly to Instagram. You can also share the URL of the final video page with your friends. That’s all! Hopefully this tutorial helps you with this simple video task. You can use a similar resizing process to post YouTube videos and portrait photos on Instagram. Kapwing is free to use, but there is a small watermark on the output video. You can pay to remove the watermark or subscribe to unlimited no-watermark access to all of Kapwing’s tools.